Pityriasis alba is a common skin disorder that mostly affects children and young adults. It’s most frequently seen in children between the ages of 6 and 12 years. The exact cause is unknown. However, it’s believed that the condition may be associated with eczema, a common skin disorder that causes scaly, itchy rashes. It appears as pink scaly patches which later leave pale areas on the skin. 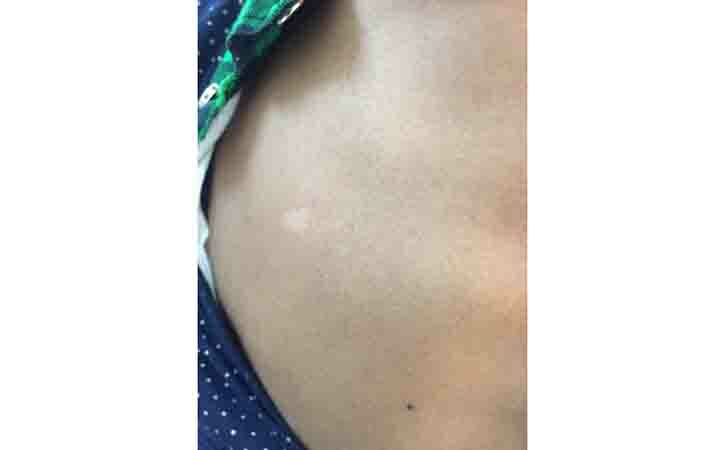 These pale areas are more noticeable in people with dark skin, and more pronounced after exposure to the sun and the tanning of the non-affected skin. Pityriasismeans skin scaling and alba means white. Pale pink or red spots may fade into light-colored patches after several weeks. These patches usually clear up within a few months, but they can last for several years in some cases. They’re more noticeable in the summer months when the surrounding skin becomes tan. This is because the pityriasis patches don’t tan. Wearing sunscreen may make the patches less noticeable in the summer months. The light patches are also more noticeable in people with darker skin. It’s most frequently seen in children between the ages of 6 and 12 years. It’s also very common in children with atopic dermatitis, an itchy inflammation of the skin. Pityriasis alba often appears in children who take hot baths frequently or who are exposed to the sun without sunscreen. However, it’s unclear if these factors cause the skin condition. Medical treatment treatment is required for pityriasis alba. The patches usually go away with time. Doctor may prescribe a moisturizing cream or topical steroid cream such as hydrocortisone to treat the condition. In some cases, doctor may prescribe a nonsteroid cream, such as pimecrolimus. Both types of creams can help reduce skin discoloration and relieve any dryness, scaling, or itchiness. Even if had treatment, the patches can return in the future. Patient may need to use the creams again. In most cases, however, pityriasis alba goes away by adulthood. For proper diagnosis, need to visit a doctor. Doctor will prescribe moisturizing cream or topical steroid cream.